Android Oreo Rolling Out To Galaxy Note 8 - AndroGuider | One Stop For The Techy You! Samsung is known to be slow on updating the Android version of it's devices. 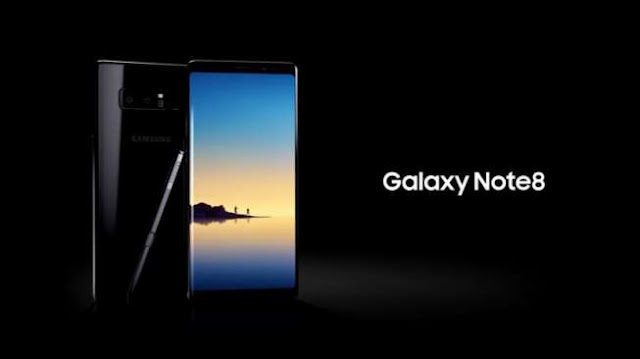 The Galaxy S8 and S8+ got their Oreo update six months after the Pixel and Nexus devices got it, and now after seven months, the Galaxy Note 8 is being updated to Android 8.0. Samsung has a website for it's Turkey customers which lists when the company will be delivering Android updates to it's Galaxy devices. According to the website, the Oreo update roll out for the Note 8 was set to commence on March 30, but apparently the update is already rolling out. A user in France received the update, and shared a screenshot of the same with SamMobile. We were tipped earlier today that the update roll out is happening in Turkey, however the tipster didn't share any screenshots to verify his (or her) claims. The build number for the update is N950FXXU3CRC1, and it also comprises of the March security patch. You can go to Settings > Software update > Check for updates and see whether the update is available for your device. Oreo 8.0 for the Galaxy Note 8 comes in the form of Experience 9.0, which is Samsung's customized variant of Android. You can refer to the infographic below to find out what's new in Experience 9.0. The support for Project Treble is unlikely.